In introduction to Computer Science in Queen’s College, if there was a gender ratio imbalance, no one noticed. By the second class in the sequence, we could count eight boys for every one girl. Where did our friends go? Why did the women drop computer science? Even with high standardized test scores and exam grades, women keep leaving computer science and the boys are left to fulfill the ever-growing need. We are a group of four girls and one guy, and we asked ourselves these questions. So often, women feel intimidated because their male counter parts often have more opportunities to learn code outside of school, and so when the classroom is shared women feel like they are already behind. This strengthens the cycle, because more men go into CS, the field continues to be male-dominated, and the leaders of computer science still lack educated female programmers and leaders. But what if computer science was accessible to them? 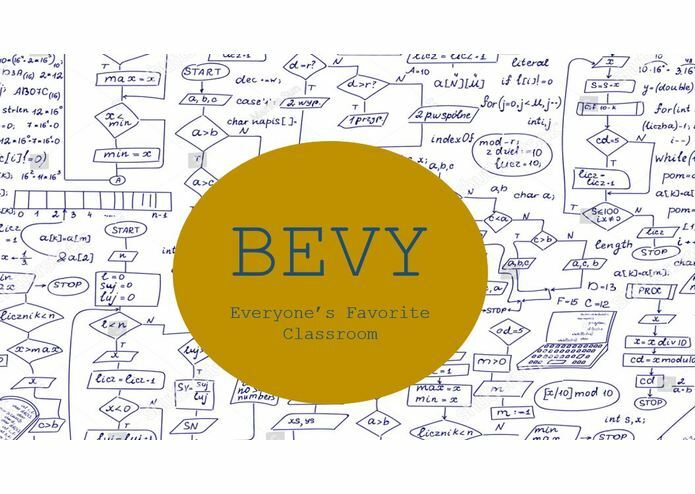 Bevy is a digital website that welcomes students to learn to code. We test first time user to assess their CS skills and match them with a group to solve CS problems. They work together to solve their responses, all the while building friendships and strengthening their programming skills. They can see what problems are popular and work in teams to try their hands at more difficult codes. More experienced groups can also be called upon as tutors to help a beginner group get started and help them think about how to answer the challenges. In this way, we are giving our world’s budding computer scientists an opportunity to build a learning community that supports and helps them advance their CS skills in a safe, encouraging environment. Bevy is bridging the gap and building a social circle of people excited to start thinking about the biggest problems the world is facing today- and we are empowering them to succeed. I worked on developing the idea for the website, and helping to program some of the back end functionality. I helped flesh out the idea and plan the website step by step. I then designed the website using PowerPoint.